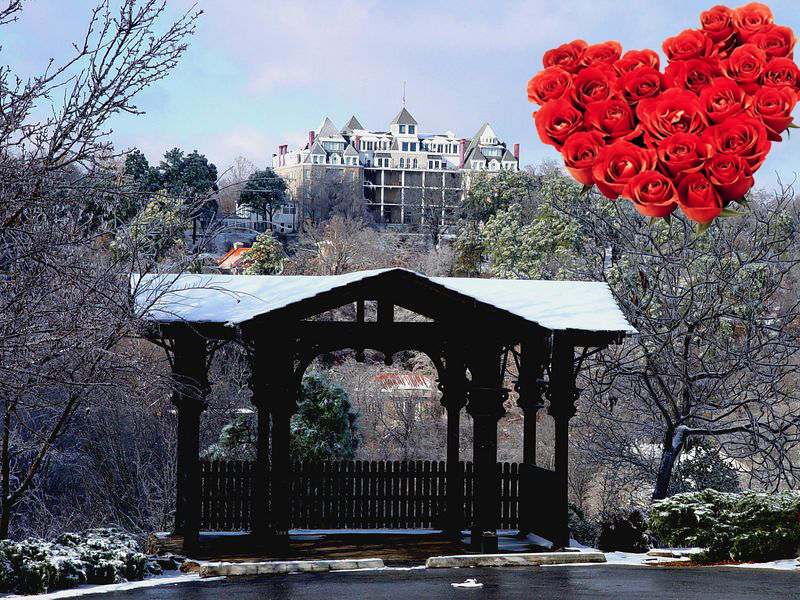 Eureka Springs has Romantic written all over it. From your cozy cottage or premium hotel escape, to dining in our many chef owned restaurants, take the mini getaway for Valentine’s Weekend! Join us Valentine’s Weekend in the Crystal Dining Room for a Four Course Sweetheart Dinner for Two! The time is here…BOOM BOOM MARDI GRAS! Winter doesn’t mean you have to stay indoors. Take a road trip to Eureka Springs, Arkansas where they know how to party! Eureka Springs Mardi Festival kicks off February 16trh-28th with 2 full weekends of festivities. 5 Balls, 2 Parades, & lots of Fun!!! Special Room Rates have been put together to offer you the Best Savings and loads of fun. Bring your beads, your friends, and join Eureka Springs best winter festival. View the Mardi Gras Hot Deals. Night Parade-2/18 starting at 6pm in Downtown Eureka Springs. Line up along Spring Street and watch krewes hit the streets with lights and music. Black Light Ball-2/18 after the parade don’t miss this public ball! 8pm-Midnight. Dance to DJ Testube in Eureka Springs hottest club, Event Eureka under black lights. Let a body artist paint you with glow in the dark paint, a glow necklace and celebrate Mardi Gras! Music will be spinning, lights will be flashing all for a great cause – Main Street Eureka Springs. Tickets $30 per person. BUY HERE. Day Parade-2/25 starting at 2pm see the best mardi gras floats cruise downtown Spring St.
Mayor’s Ball-2/25 after the parade that evening, get your costumes, feathers and beads out for this fun public ball! 7pm-Midngiht at the Basin Park Hotel. Tickets $35 per person. The theme is Great Gatsby featuring Mayor Butch Berry & the Mardi Gras Royalty. Music from the Downtown Livewires. BUY HERE. Jazz Brunch-2/26 end the weekend right with a Mardi Gras Jazz Brunch at the Crescent Hotel. 11am-2pm. Tickets $27.95 per person. Live music, second line and an amazing brunch display. Call for reservations: 877-342-9766.